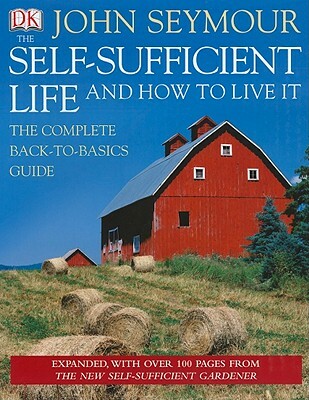 The Self Sufficient Life and How to Live It is the only book that teaches all the skills needed to live independently in harmony with the land harnessing natural forms of energy, raising crops and keeping livestock, preserving foodstuffs, making beer and wine, basketry, carpentry, weaving, and much more. Our 2003 edition included 150 new full-color illustrations and a special section in which John Seymour, the father of the back to basics movement, explains the philosophy of self-sufficiency and its power to transform lives and create communities. More relevant than ever in our high-tech world, The Self Sufficient Life and How to Live It is the ultimate practical guide for realists and dreamers alike. John Seymour was a pioneer of the self-sufficiency movement, and worked as a writer, broadcaster, and activist in support of it. For much of his life he was a smallholder in Wales. He was the author of numerous books, including The Self-Sufficient Life and How to Live It, The Concise Guide to Self-Sufficiency, and The New Self-Sufficient Gardener. He died in 2004.